One of the EU's propaganda agencies have been widely slated for claiming the Olympic successes of member states for the EU in a medals table featuring the European Union in the top spot. 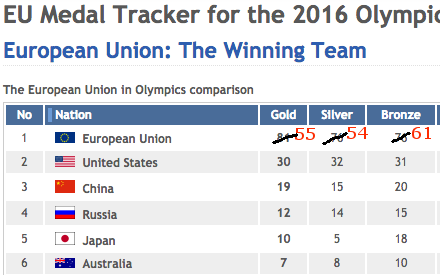 If the EU competed in the Olympics that would be quite an impressive tally but take Team GB's record medal haul off the EU and add it to the rest of the Commonwealth and the EU drops to second place. 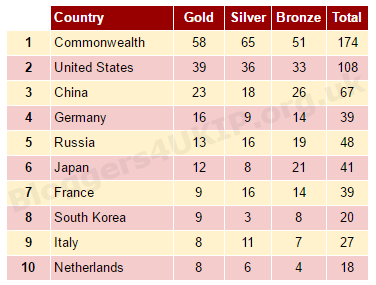 Both medals tables are equally meaningless but the EU pales in comparison to the Commonwealth.